France's victory at the 1998 World Cup highlighted the contribution of African footballers to several European national sides. When the European Championship kicks-off in Portugal on Saturday, many will be making those links again. Africans will be able to claim players wearing Italian, French and Portuguese shirts as one of their own. There are also several players missing from the tournament with African roots as well as a few who may look African that aren't. As mush as Africa would love to claim the likes of Thierry Henry, Louis Saha and Lilian Thuram all three hail from France's Caribbean colonies such as Martinique, Guyana and Guadeloupe. 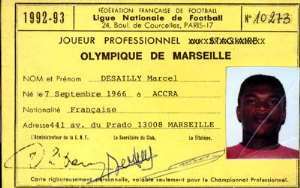 However the reigning European champions do boast several players with African roots, including their captain the Ghanaian-born Marcel Desailly. Playing along side Desailly is the two-time World Player of the year Zinedine Zidane from Algeria while striker Sidney Govou joined the French squad at the last minute after turning down Benin ahead of the Cup of Nations in Tunisia. Sweden's star striker Henrik Larsson has a Cape Verdian father, while Italy will line up defender Matteo Ferrari, born in Algeria to a Guinean mother and an Italian father. Hosts Portugal have for long been the promised land for lusophone African footballers with the legendary Mozambican-born Eusebio and Mario Colunha, the most popular Africans to play in a Portuguese shirt. Several youngsters could soon follow in Eusebio's footsteps with 23-year-old Real Valladolid striker Ariza Makukula, who was born in the DR Congo, having already played for Portugal's under-21's. Midfielder Jose Bosingwa da Silva also hails from the DR Congo and is eligible to play for Portugal. He was in their squad at the under-21 European championship in Germany. Several other 'African' players have missed out on places in Portugal including Holland's youngster Youssouf Hersi who is of Ethiopian origin. Hersi played for the Dutch under-20 side at the 2001 World Cup in Argentina. Also missing is DR Congo born Blaise Nkufo, who plays club football in Holland, but has not been included in the Switzerland squad. There was no place in Rudi Voeller's Germany squad for the Ghanaian-born Gerald Asamoah. There are yet more African-born players with no football over the next few months after their countries failed to make it to Euro 2004. There will be no European championship experience for Nigerian-born Emmanuel Olisadebe after Poland failed to qualify. Belgium's failure to make it to Portugal means that the DR Congo-born brothers Emile and Mbo Mpenza also miss out.